This beautifully handcrafted Farm Hands set is three pieces made out of exotic hard woods - mahogany, black walnut and oak. Tractor measures 8" Long by 4.5" High. 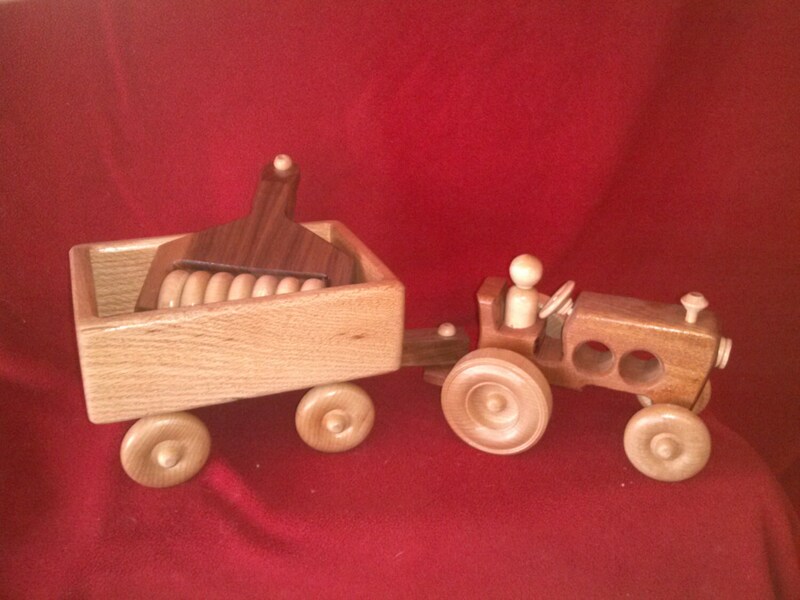 Wagon measures 9.5" Long by 5" Wide by 4.5" high. Tiller is 6" Long by 5" Wide. All wheels turn. 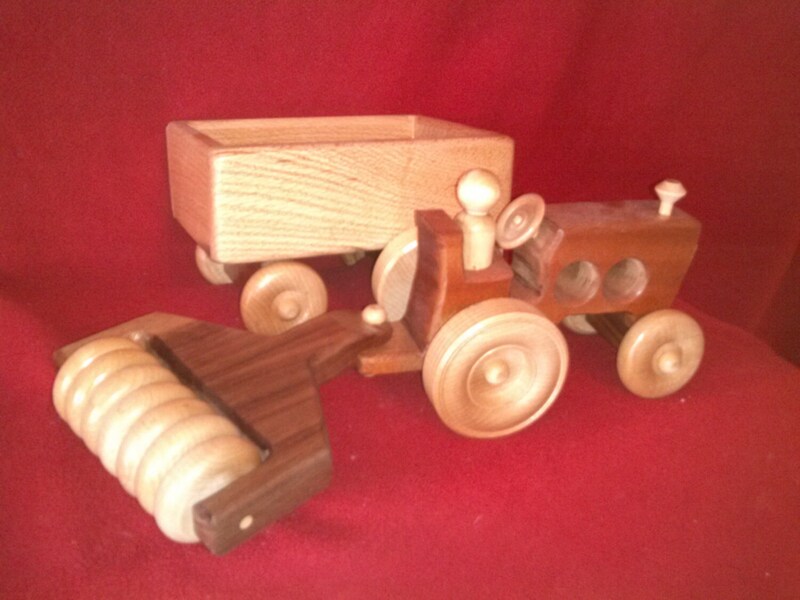 Your child will have fun tilling with the tractor and then loading up the wagon to get back to the barn. 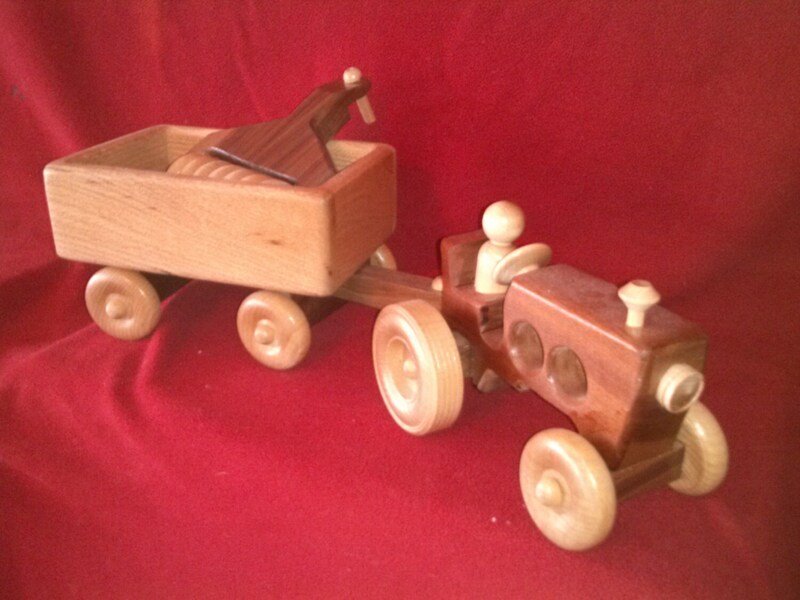 As with all Wood Nook creations, it is completely customizeable.